Thank you for considering Dichiaro Custom Painting. We are a professional insured residential painting company located and serving Buffalo NY and the surrounding WNY area. With over 15 years of experience and hundreds of satisfied customers, we strive for excellence in every job we do. 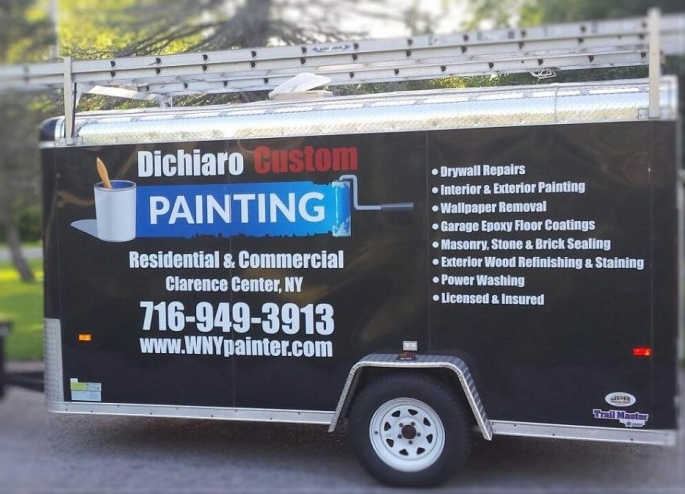 Dichiaro Custom Painting is an owner operated business that DOES NOT sub-contract any work to other companies. We take the time to educate every customer regarding every detail and procedure involved in completing the job we were hired for. We complete all work in the most economical and professional way while paying close attention to detail. Dichiaro Custom Painting uses only the highest quality materials and pays close attention to all prep work. Our detailed planned prep work ensures that the actual painting or staining project looks its best and stays that way for many years to come. A huge part of our success is customer communication. All aspects of the job are thoroughly discussed and all calls are returned the same day. We show up on time, complete your project on time and are extremely neat and organized. Please browse our site and learn about the large variety of services we offer. If you have any questions do not hesitate to Contact Dichiaro Custom Painting. We look forward to doing business.